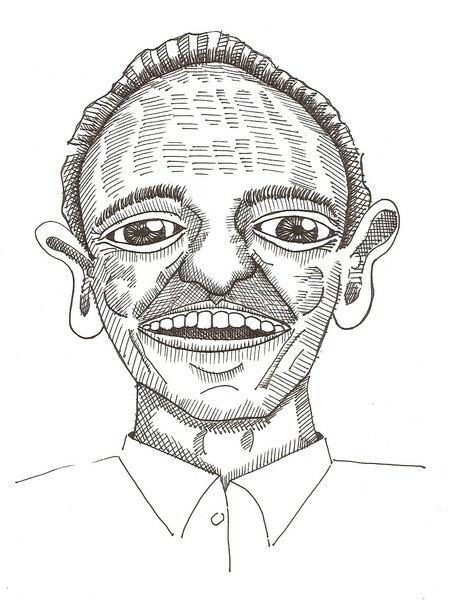 Artist Reply: Uncle Frank Yates sitting there drinking a beer in near Lake Ontario and I did a quick sketch of him. I don't think he even knew I did it. It's been in my sketchbook since then. That was Summer 2006 around July 4th after the car show. I redrew the sketch. Here's to you Uncle Frank!